I always enjoy Sian's Monday posts, so thought I'd give it a try myself! We had a great Saturday; it was just the perfect kind of late summer day. First, we headed to Yellow Springs for A Wool Gathering. It was their 20th anniversary, but the first year for us. We will be back. I bought this lovely hand-dyed sock yarn. The hanks are truly gorgeous in person. I hope I can bring myself to knit them up. 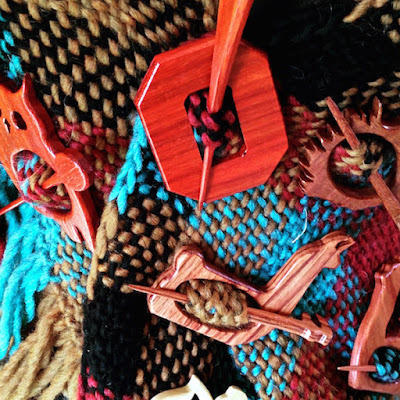 These shawl pins caught my eye. I couldn't resist the block O, plus another not shown in this photo. Never mind that I don't own any shawls. I can knit. This guy was loving the attention. 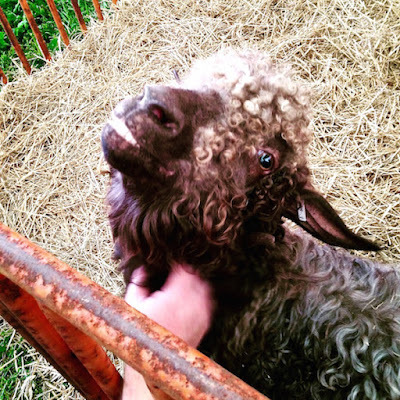 We met up with our DIL and granddaughter, so visiting all the animals was a must. The granddaughter wasn't too sure at first, but eventually became brave enough to touch a few. This is what she really wanted....freedom! 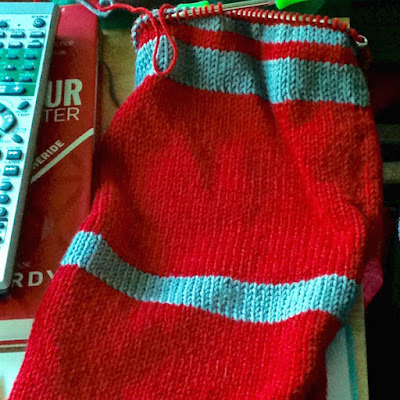 Then it was back home to watch Buckeye football and knit my Scoreboard Cowl. The game was too close for comfort, but I did get some color variety from their not-up-to-par performance. So there was an upside, sort of. Yarn shopping, football, knitting, time with family. What a perfect Saturday! So glad you decided to join in on the Me on Monday - but you forgot your picture! It looks like a lovely Saturday. 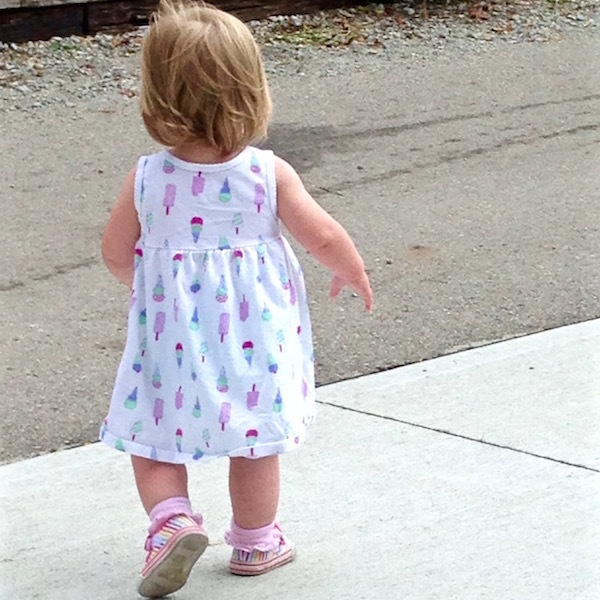 Hard to believe your granddaughter is a toddler already. That does sound like a great day! We had a relaxing weekend with some football watching yesterday! Lol! I sneaked through without a picture of me this week. I have a cold and am really not ready to be photographed. 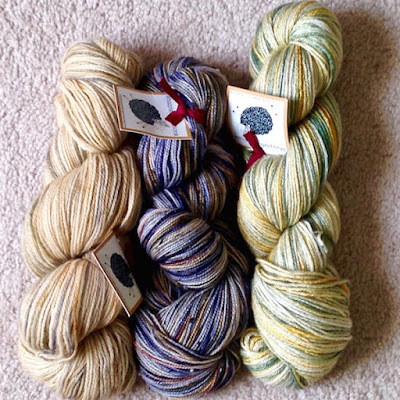 That yarn does look gorgeous - hand dyed is always such a pleasure to see with all the variations.